A prolific pulp author is reaching a new audience online. With so many technological distractions occupying and arguably wasting our time in the modern world, it’s easy to forget there once existed an age before the internet, before TV, before we carried mass communication devices in our pockets. Michael Avallone came to prominence in such a time, the 1950s, when the Gogglebox hadn’t yet fully infiltrated the American home. Heavy demand existed for pulp novels, and Avallone certainly did his best to meet that demand, penning over 200 novels, and claiming to have written hundreds more under dozens of pseudonyms, proudly labelling himself “The fastest typewriter in the west” and “The King of the Paperbacks”. Quitting the U.S. military in the early ‘50s, Avallone began writing for ‘Sports Pulps’, publications devoted to inspirational tales of fictional athletes, before editing a host of men’s magazines throughout the decade. 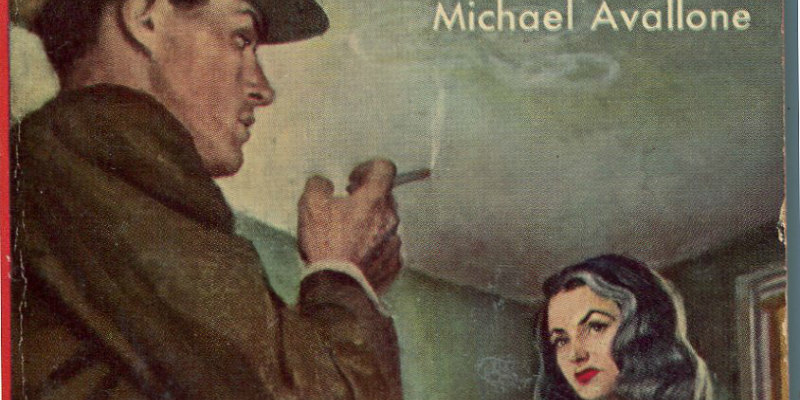 In his 1953 debut novel, The Tall Dolores, Avallone created the figure of Private Investigator Ed Noon, a sarcastic, tough New Yorker with a passion for baseball and movies. The character would appear in dozens of novels and short stories up to his final appearance in 1988’s High Noon at Midnight, adapting to suit the times, beginning as a Chandler-esque gumshoe, morphing into a James Bond type super-spy in the ‘60s and battling alien invasions in the ‘80s. Noon even featured on a radio series, voiced by actor Chester Morris. Throughout his prolific career, Avallone turned his hand to every conceivable genre, from horror stories to children’s adventures, even penning romances under female pseudonyms. Ironically, it was TV that would really boost Avallone’s career, as he found himself one of the most sought after writers in the field of television and cinema novelisations. 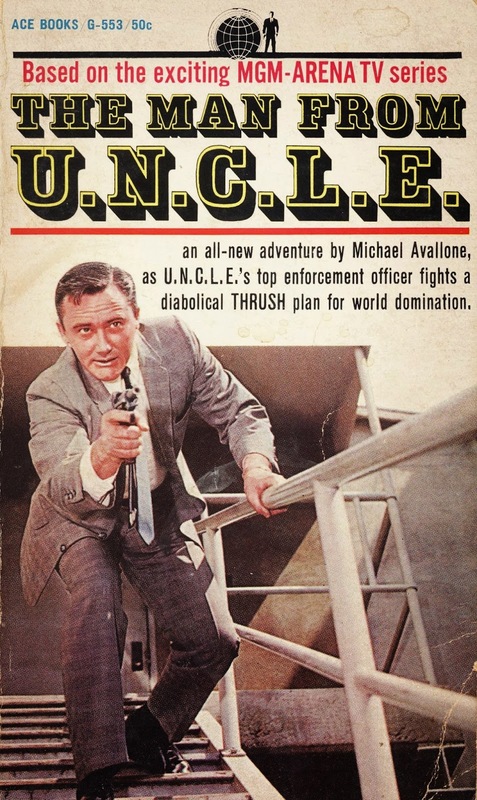 His biggest hit was a novel based on the hit spy series The Man from U.N.C.L.E., The Thousand Coffins Affair. However, Avallone failed to see much of the book’s profits, having agreed a flat fee of $1,000, unaware at the time of what a cultural phenomenon the show would become. Other adaptations tackled by Avallone included novels based on TV shows Mannix, Hawaii 5-0 and The Partridge Family, and cinematic franchises Friday the 13th and Planet of the Apes. Avallone passed away in 1999, aged 74, but his legacy lives on in dusty bargain bins across the world’s second-hand bookshops, and now on the kindles and smart-phones of a new generation of pulp fans.